Bluetooth is workig or not? Its a good phone or bad phone? Its internet is good od not? How can I locate my music . does 7GB skydrive helps exactly like a memory card or not ? Diz fone iz very gud only low memory . MOIN, 04 Aug 2013nokia 510 is simply awesome i have seen the features in that...lots of applications n fun in s... moreYes features are good but memory and connectivity to pc is not good, it is a good feature bad user experience phone. 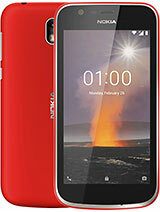 good phone BUT only 4 GB (you get actually aprox 2 GB :( ).No memory card slot.even smaller phone giving memory card slot. A BIG Disadvantage. ashu, 07 Aug 2013is it android? ?its not an android phone its is a windows 7.8 phone which enables zero virus ......it gives you amazing app choices including xbox live and marketplace...only one disadvantage it does not give large memory space so app selection is limited....but overall its worth buying it!! ashu, 07 Aug 2013is it android? 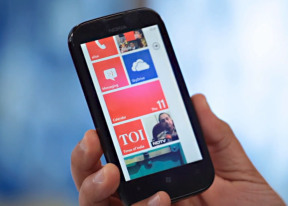 ?No, it's Windows Phone. Read. ivtira, 06 Aug 2013d worse fone so farWhy it is worst phone? Ash, 02 Aug 2013Am confused b/w Nokia asha 501 and Nokia lumia 510 which one is better?501 is good. sakthi, 03 Aug 2013In this phone 3gp and mp4 file format videos not playing! Why?Could more better it would have 1.memory card slot,2. Bluetooth connectivity,3.indian language support,4.connectivity to p.c. Without any software e.g. Zune etc. as an user of this phone I give score 2 out of 10. Nokia people are sleeping?they don't try to know requirements of user. dani, 30 Jul 2013how to transfer pictures from cell to pc..??? plzz helpDownload Zune software and with this software you can save your data to your pc..
Sj, 02 Aug 2013Guyz iam using a symbian phone. 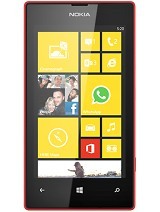 And now think abt buying a lumia 510. Can anyone tell what are... morecamera not good. no saving of draft facility in message. blue tooth worst. no ring tone of your choice. not satisfied.